I think every wedding is perfect! From elopements to full formal weddings. Sometimes, you just want to have something small. This page is for you. One of my most popular services is my small wedding ceremony. They can happen just about anywhere. In your backyard, your living room, in a small venue or restaurant, In a park with a picnic shelter, under a gazebo or just about anywhere. A small wedding ceremony can really be anything you want it to be. Formal or informal. I've made this a separate page on my website in order to give you an opportunity to explore the possibilities of having a small wedding ceremony because it just may be the perfect idea for you. Why do couples choose small weddings? Often, couples getting married for the second time have children they want to include, and a smaller informal wedding is a better option. Some people just don’t like big crowds or want to go through the trouble or extra expense of a full formal wedding. Many couples choose to have a small wedding and then use their money to buy a house instead. I married a couple who found me when they were looking for wedding options and saw this one and knew right away it was perfect for them! They had a small wedding with their parents and then had a keg party for their friends in the back yard of their new house. The bride said she was actually relieved. Their friends were $30K in debt from their wedding and it just wasn't something they wanted to do. Are your elopement plans getting out of hand? Two is company and three can quickly become a crowd. Sometimes your wedding may start as an elopement and then people find out and it slowly turn into a small wedding. I want to point out that when you start by planning an elopement and you suddenly have 10, 20 or 30 people that want to attend, it is a small wedding and you will want to make arrangements to have a place that will comfortably fit everyone you want to watch you get married. One of the best things about reserving your spot on the canal is nobody else can use it! Where can we host a small wedding? 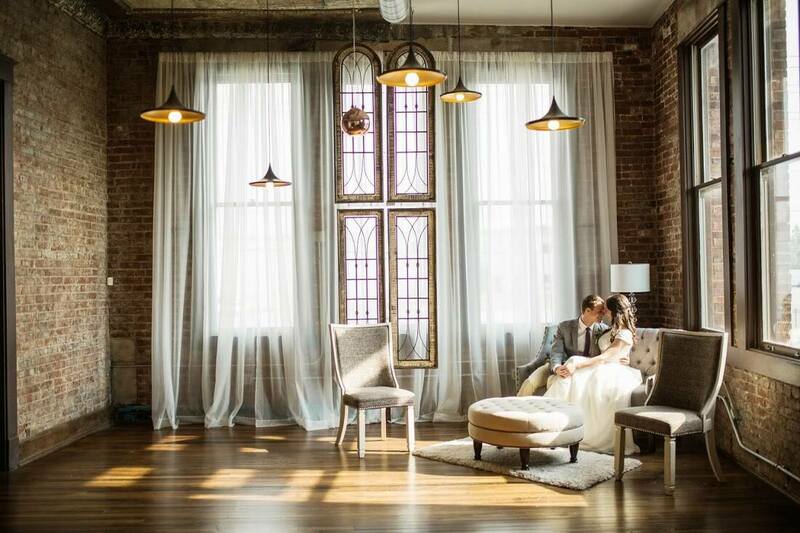 A Wedding Officiants Guide as to Where to Elope in Indy. 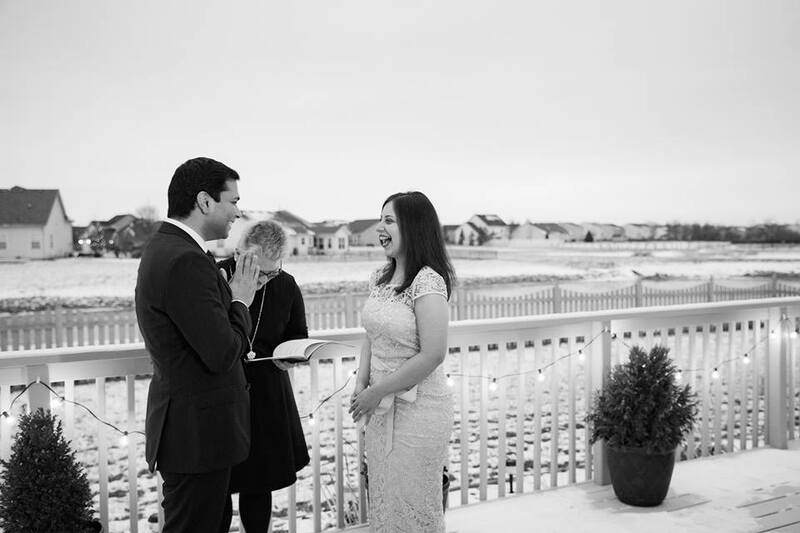 A Wedding Officiants Guide for Gazebos Around Indy for Elopements. Both options are great for both elopements and small weddings. Neidhammer is a fabulous, renovated building in downtown Indy on East Washington Street. It houses a coffee house on the ground floor and utilizes the upstairs floors for weddings and events. As you can see in the photo above, It is a very unique spot to get married. Their bridal suite is absolutely beautiful. (pictured below) They don't just rent the space for big weddings, they will also rent the space for 2 hours for $500. That includes use of the bar. That makes it a perfect spot for a small wedding downtown. You can have a ceremony, and small reception or cocktail party. 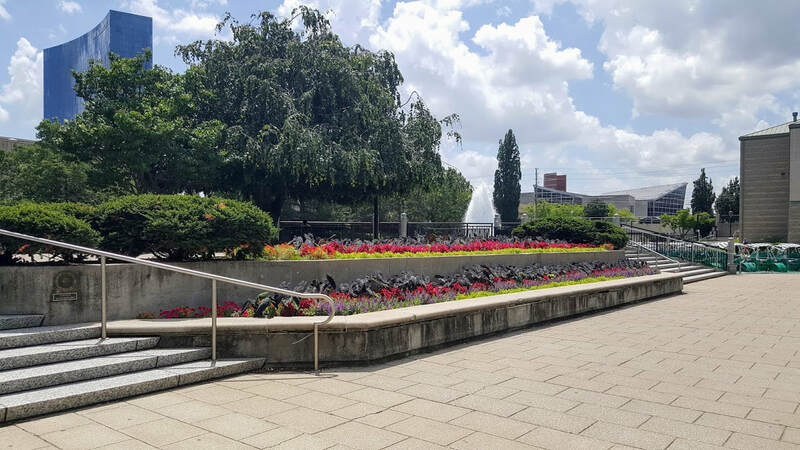 You could have a ceremony in the space, take family photo's and then head downtown for a great dinner. Hire a professional photographer to make the best memories of your perfect wedding day. Big or small. The above picture is by Casey and Her Camera. Several of her photos are my website. 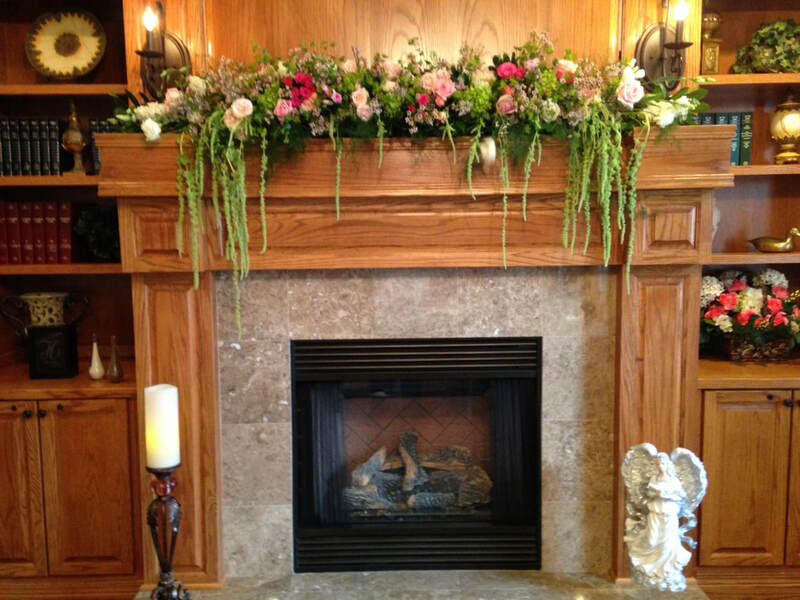 Here is a link to this wedding to help you envision the possibilities. Casey captures everything. Two thumbs up and I highly recommend her! Tell John that Victoria at Marry Me In Indy! Sent you! This is the Washington Room at Neidhammer. Imagine eloping or having your wedding photos here! Photo is by Tessa Tillett. The William Zion Library can hold up to 20 people for a small wedding ceremony. The Brick Street Inn in Charming Zionsville has 10 guest rooms, a fabulous French restaurant and space for your small event. You can rent out the entire Inn for your event or just a part of it. 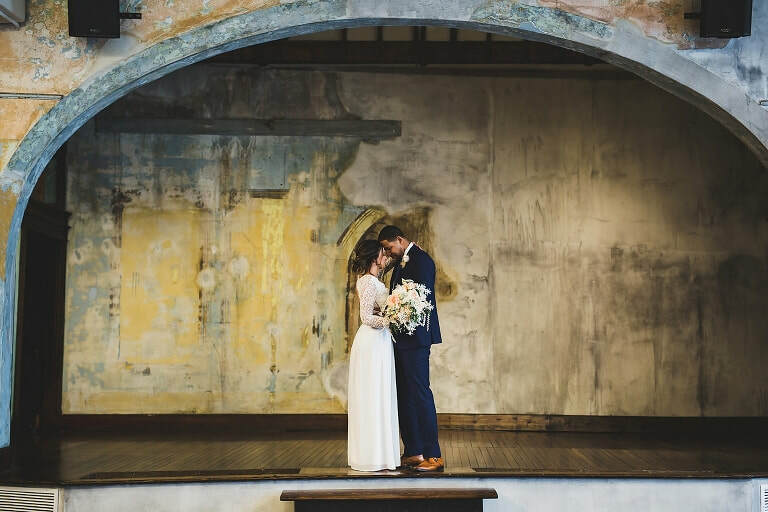 You can elope by the fireplace and then have dinner in their restaurant, Auberge, or you could choose your own menu to enjoy in your own private dining room. Make sure you have a photographer to take pictures inside Brick Street Inn or outside on the actual brick streets of Zionsvile. Lincoln Park Gazebo is just a block away for pictures or an outdoor elopement. 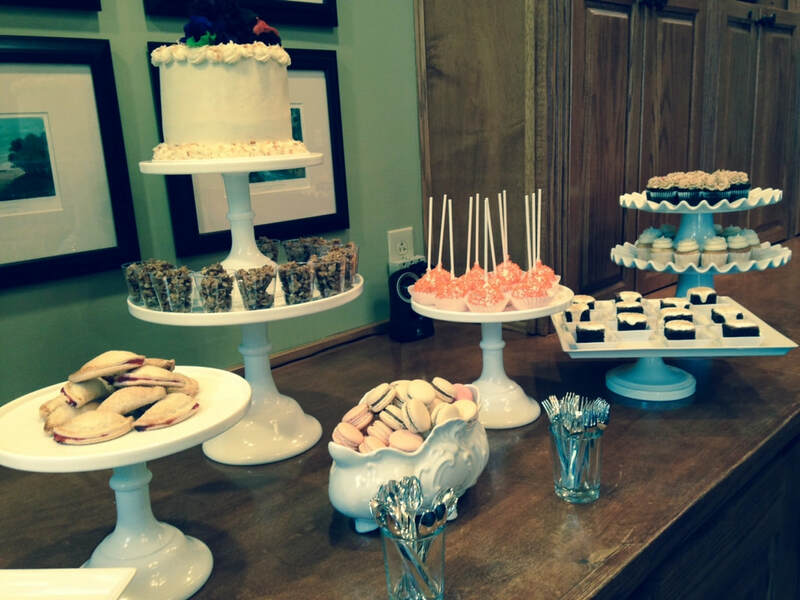 A dessert table set up in the Chautauqua Room at the Brick Street Inn. ​Tell them that that Victoria at Marry Me In Indy! is officiating your wedding for a special discount. What at is your fee for a small wedding? My fee to officiate your small wedding is $150. You can view everything I include here as part of my ceremony package here. This doesn't include the cost of venue you choose.